Showing results by narrator "Dario Tangleson"
Exquisite prose and wondrous storytelling have helped make Rudolfo Anaya the father of Chicano literature in English. Indeed, Anaya's tales shimmer with the haunting beauty and richness of his culture. The winner of the PEN/Center West Award for fiction for his unforgettable novel Alburquerque, Anaya is perhaps best loved for his classic best-seller, Bless Me, Ultima. This is the tale of the Chavez family of Michoacan, Mexico. 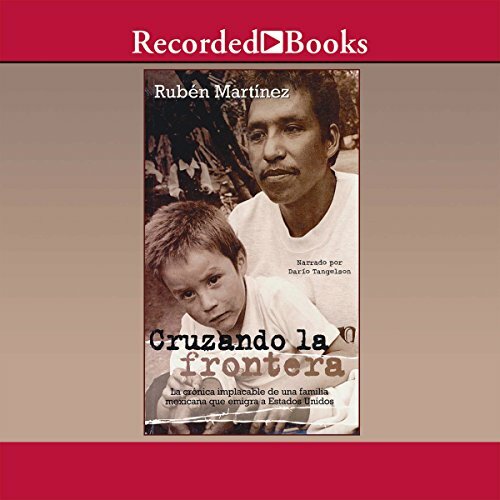 Members of this family cross over the border to work in the United States, only to encounter hardship and tragedy. It is an exploration of what drives poor Mexican families to risk their lives to come north. Emmy Award-winning journalist and poet Rubén Martínez is the associate editor at Pacific News Service. Very touching and interesting book!